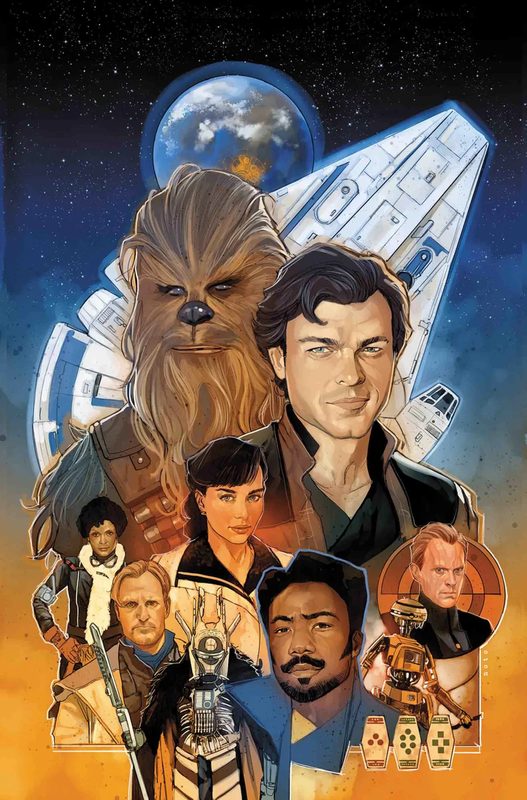 Solo: A Star Wars Story #1 kicks off the adaptation with an okay start. The art is better than some of the previous adaptations Marvel has put out for Star Wars. The story, well it sticks pretty close to the movie with the exception that the deleted scenes are included. As is, it’s a good adaptation, but it doesn’t offer a whole extra to make it worth the $4.99 price tag. Assuming you’ve seen the movie, there are some extras in the comic. It opens with a new scene with Proxima giving the mission to Han and it shows the deal going wrong and Han boosting the speeder. There’s a couple pages showing his stint in the Imperial Navy before being booted to the infantry. But that’s it. The story leaves off with Chewbacca’s reveal in the pit, which is a nice spot to leave off at for dramatic effect. Robbie Thompson did a good job of condensing the story down and capturing the essential details. However, if you’ve seen the movie, the deleted scenes are a rather small bonus, one that I’m not sure warrants picking up the comic. On the art side, the visuals are pretty good. There’s good detail, good interpretation of the characters and the scenes, and good colors. Some of the panels look really nice. My only small gripe is that Han can look a little off at times, but that’s it. At the end of the day, though, the art and story aren’t enough to warrant a recommendation on this one unless you’re a big fan of comic adaptations of movies. The higher price tag is an even bigger deterrent. It’s not a bad comic, but it’s not an essential read. I give it a three out of five metal bikinis.